Neflix renewed its original series Grace and Frankie back in May, but it may be awhile until we see the second season. Apparently, production is experiencing some delays and so, a ‘Wheel of Blame’ has been crafted. 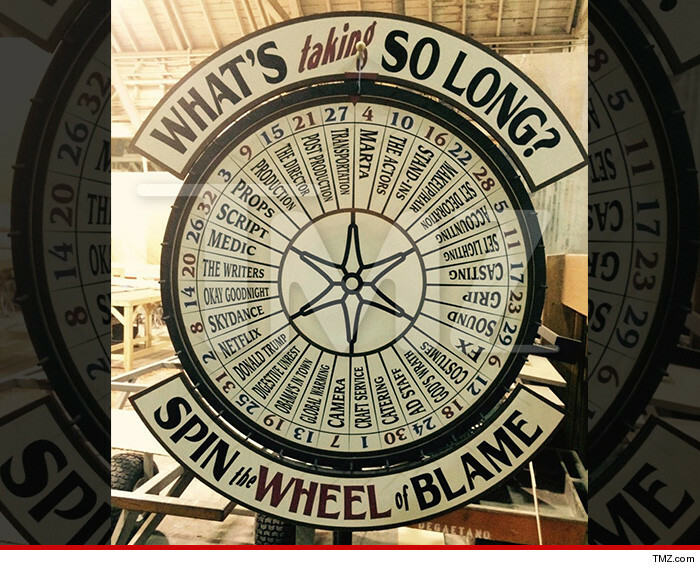 TMZ posted a picture of the wheel, which contains a number of excuses you can spin to whenever blame is needed. “What’s taking so long?,” it asks. “Obama’s in town.” “The writers.” “Digestive unrest.” The list is pretty amusing. 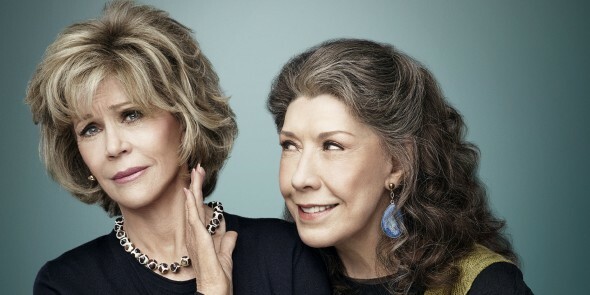 Created by Marta Kauffman and Harold J. Morris, Grace and Frankie stars Lily Tomlin and Jane Fonda as two women who are forced into each other’s lives when their respective husbands reveal they’re gay and in love. The series’ first season was released on May 8 and contains 13 episodes. No word yet on when season two is due. Perhaps more digestive unrest will be to blame. What do you think? Do you watch Grace and Frankie? What would you like to see happen in season two? My family of teenagers have watched and re watched the series at least three times. We love the show ! I think Marta K aufman is a creative genius ! It’s a terrific series with lots if love and humor and is completely believable!!! That’s an attribute to the actors: Sammie, Martin and the ladies. I really want to see the fellas have a big fancy wedding and someone walking someone down the aisle. The kids would participate and the ex-wives would actually cry. But of course Sol has to come clean as does his husband to be. It’s a wonderful, up to dataecomedy with romance, drama and 4 of the best actors!!!!! Keep it up and coming!!!! More, more, MORE!!!!! !